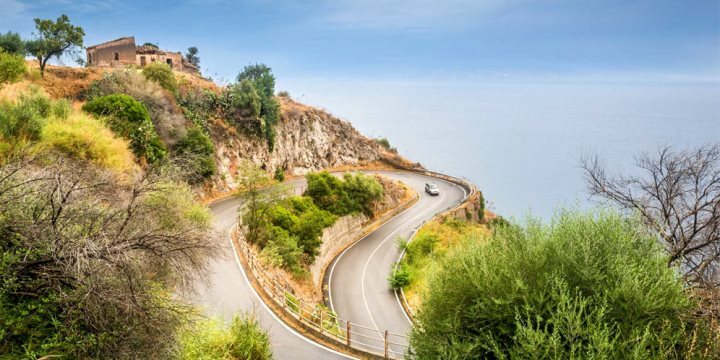 If you are looking for independence and would prefer to spend your holiday in Sicily travelling around this beautiful island, we can suggest a variety of routes and ideas, as well as presenting the best places to stop to rest your head each night during self drive tours in Sicily. Self-drive touring offers the freedom to travel at your own pace, allowing you to explore as much or as little of the island as you like. Our route ideas include just a few of the many stunning places to visit on the island. We are also happy to put together a tailormade holiday designed to suit your specific requirements. Tip: Book NOW as the smaller touring hotels fill up so quickly, we don't want you to miss out on your favourite. 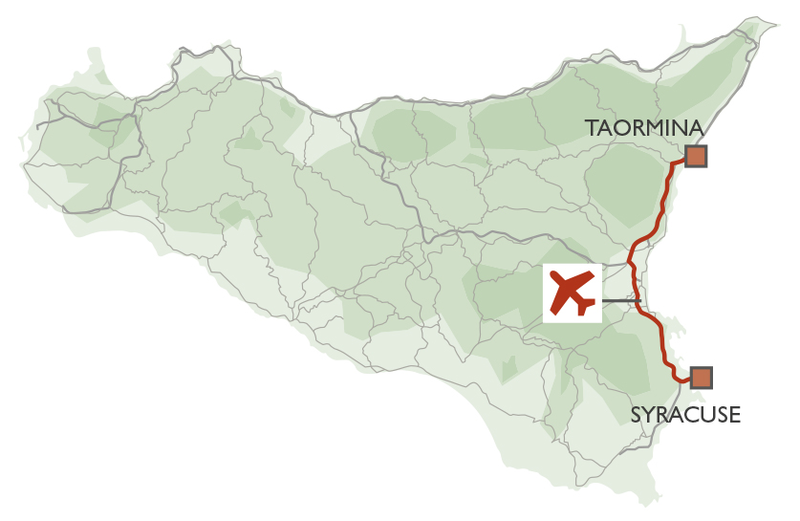 Fly into Catania as you begin your Sicily driving tour, located just to the south of the pretty town of Taormina, before spending four nights soaking up the history, culture and surrounding nature of Taormina, as well as taking a day to explore some attractions further afield. In the town itself, don’t miss the incredible ancient Greek Theatre, offering a fantastic insight into the history of the area. Simply strolling around the streets of Taormina will be a rewarding experience, featuring stunning medieval buildings, several boutiques and plenty of inviting eateries, while a day trip to climb the crater of Mount Etna is a must. 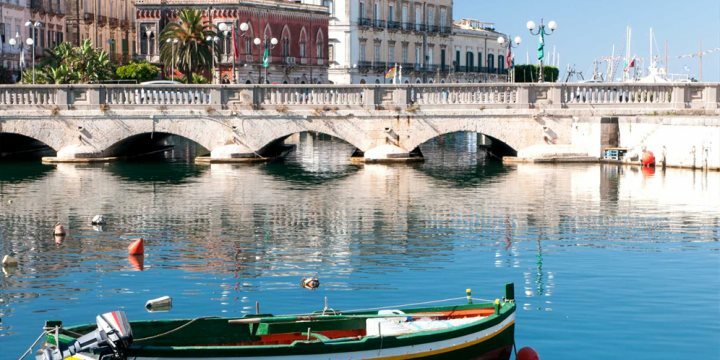 Syracuse is a fascinating city of history and architectural beauty, crowned by its famous archaeological zone and historic centre on the island of Ortigia. 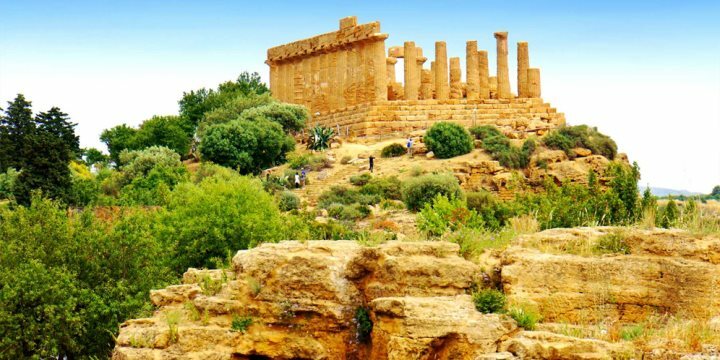 The city is listed as one of Sicily’s UNESCO World Heritage Sites, and it is easy to see why, with its Greek Theatre, Roman Amphitheatre and archaeological treasures making it one of the most fascinating destinations on the island. 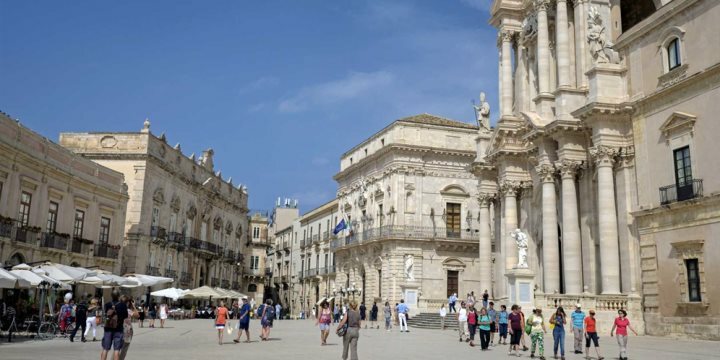 Make sure you spend your three days here exploring this vast history, as well as getting a taste for wonderful Sicilian cuisine, before your return flight home from Catania. Find out how to add a 'foodie twist' to this self-drive itinerary. Includes: Return flights, 7 day car hire and accommodation as stated. 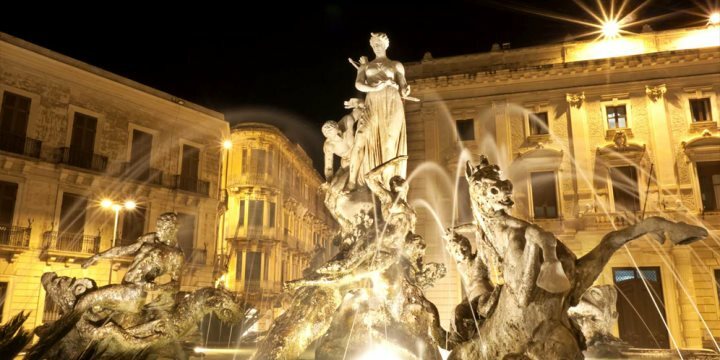 Fly to Catania on Sicily’s east coast and begin your tour with fournights in the beautiful UNESCO World Heritage Site of Syracuse. You’ll discover incredible historical landmarks here, including the Greek Theatre, the Roman Amphitheatre and the city’s stunning cathedral, as well as countless other architectural gems on the historical island of Ortigia. 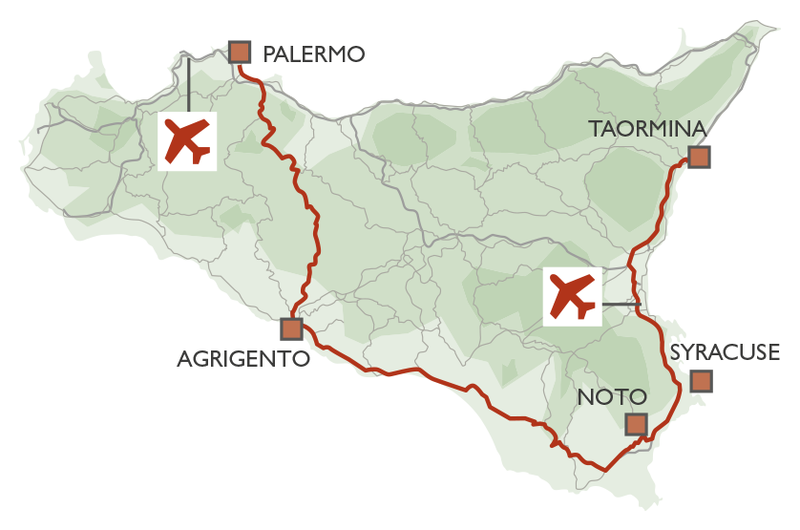 Spend the next three nights of your tour staying at the marvellous Relais Torre Marabino hotel, using your hire car to make day trips to both Noto and Ragusa, two of the most impressive locations in the Val di Noto. 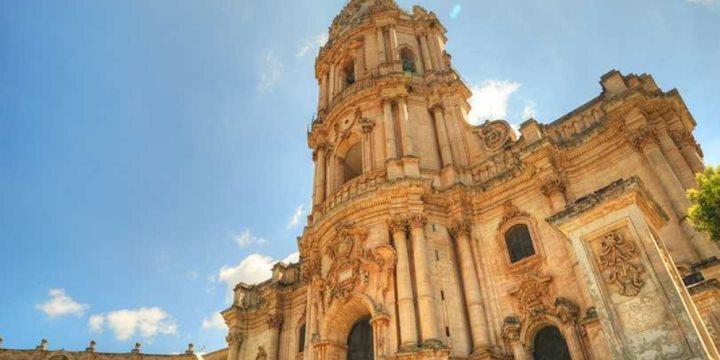 While in Noto, you can’t miss the restored Cathedral of Noto, set in an impressive area of architectural triumphs. 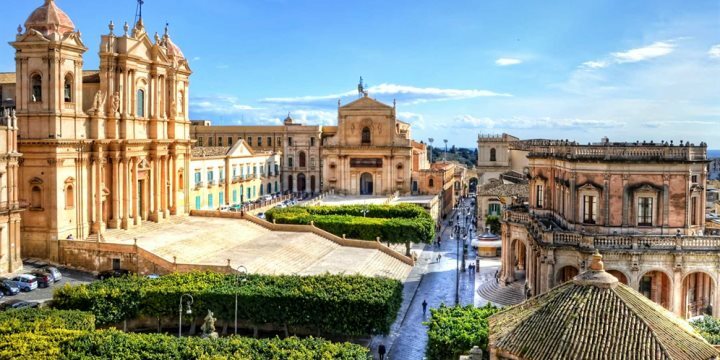 In Ragusa, more baroque architecture can be admired, while others will find great enjoyment in following in the footsteps of Inspector Montalbano, the subject of a hit television series largely based in this attractive little city. 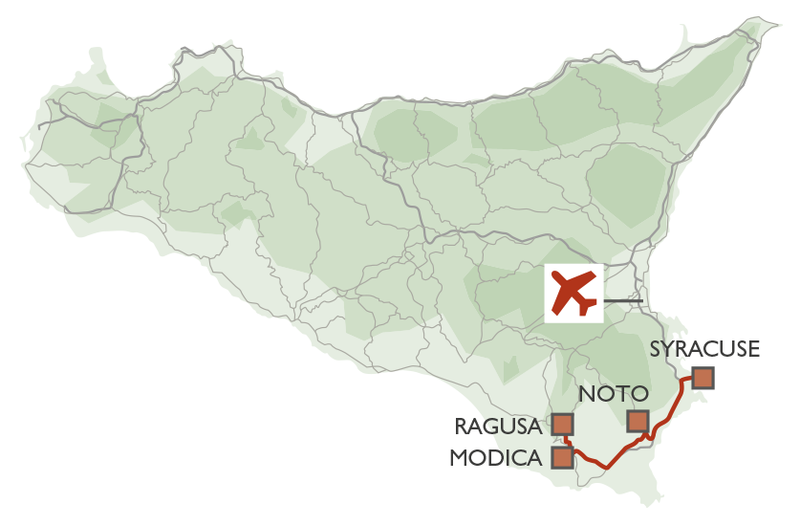 End your tour indulging in the culinary prowess and immense history of the city of Modica. 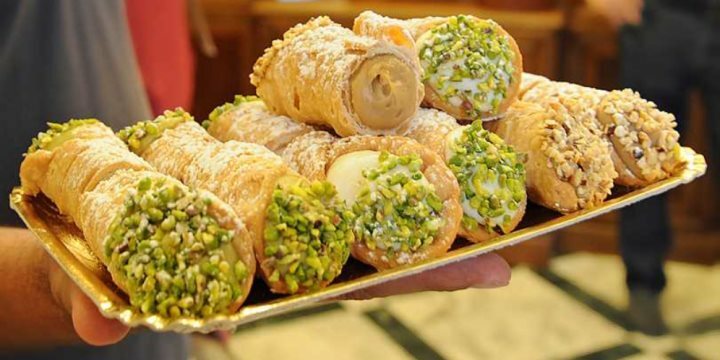 There are countless landmarks to discover here, including the Church of San Giorgio, while others will be driven towards the incredible food, especially the chocolate, famed throughout Modica and easily sampled across a range of chocolate shops. Includes: Return flights, 10 day car hire and accommodation as stated. 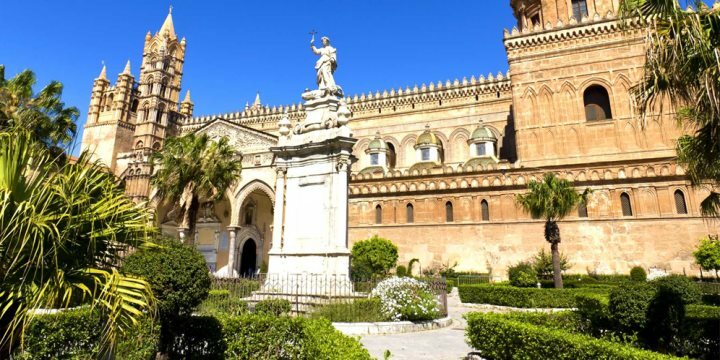 Fly into Palermo and explore the amazing cathedrals which are the headline act in this part of Sicily, with Palermo’s taking centre stage. Beyond Palermo, take time to encounter the cathedrals of Monreale and Cefalù. The Valley of the Temples is the largest archaeological site in the world, home to countless ancient Greek temples, all in Doric style, as well as some of the world’s best examples of Greater Greece art. Across the region of Val di Noto are towns and cities boasting incredible baroque architecture. Devote your four days here to discovering the beautiful architecture and landmarks of the likes of Modica. Filled with impressive architectural triumphs and incredible history, simply walking the streets of the island of Ortigia can easily warrant three days, such is the beauty of the buildings and monuments here. 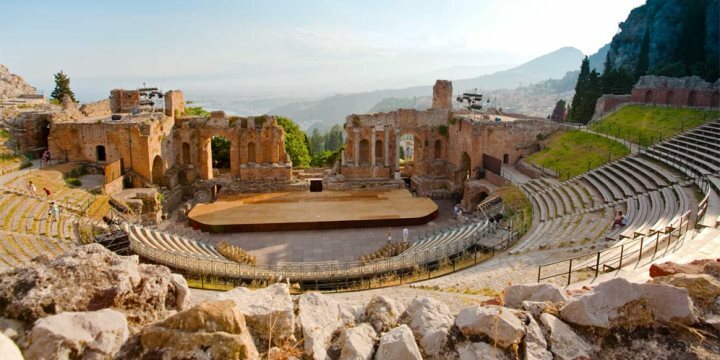 The final stop before your return flight from Catania will see you staying in the beautiful town of Taormina, with its charming character and impressive Greek Theatre. 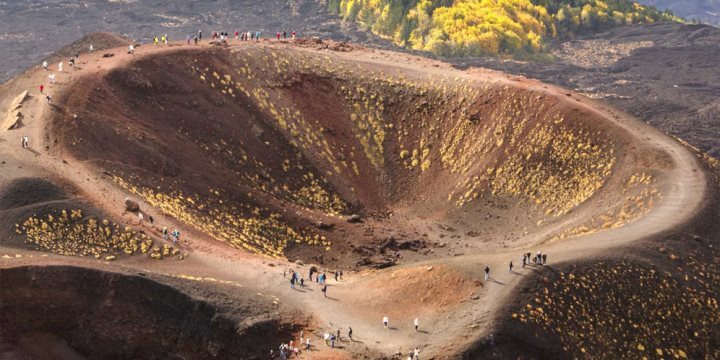 The town provides the perfect base for visiting Mount Etna, one of the world’s most famous volcanoes. Includes: Return flights, 14 day car hire and accommodation as stated. Prices and availability are correct as at 09/03/2018​.